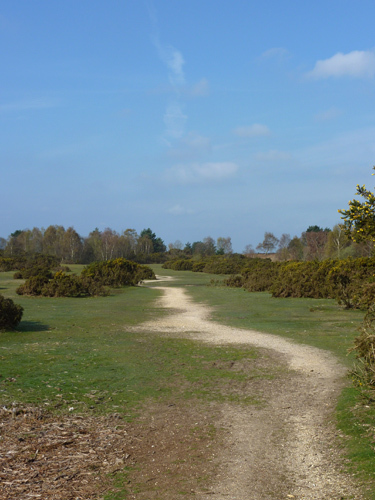 A walk from Moyles Court onto Rockford Common. 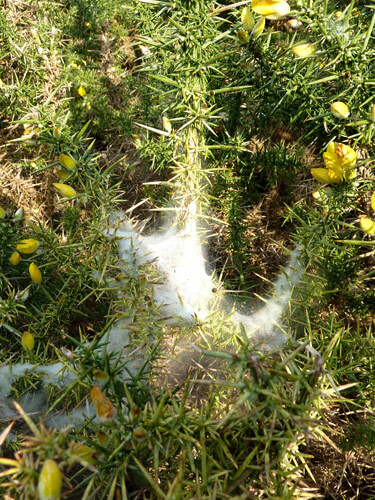 Spiders webs in the gorse. 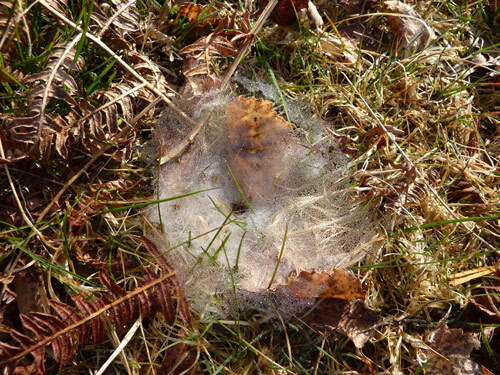 Sometimes you’ll see a gorse bush that is smothered in these types of web. 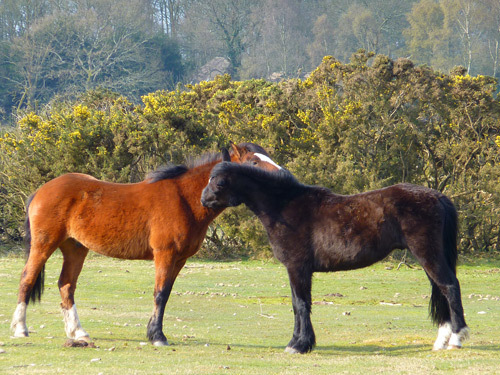 I don’t know what they are, but they scare the living daylights out of my horse! 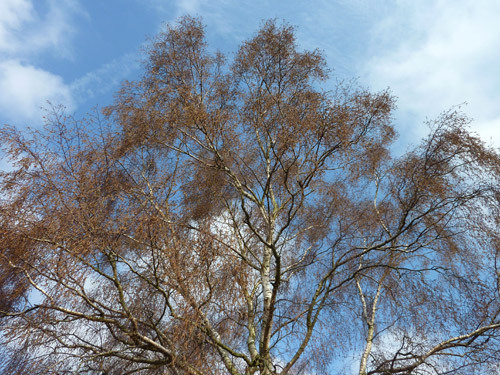 Birch trees starting to gain their spring clothing looking wonderful against the bluest of skies. 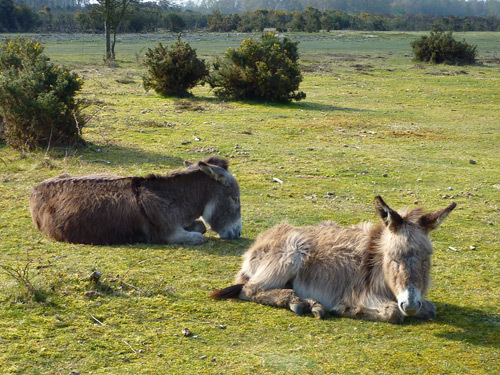 A couple of commoners donkeys rest in the spring sunshine. 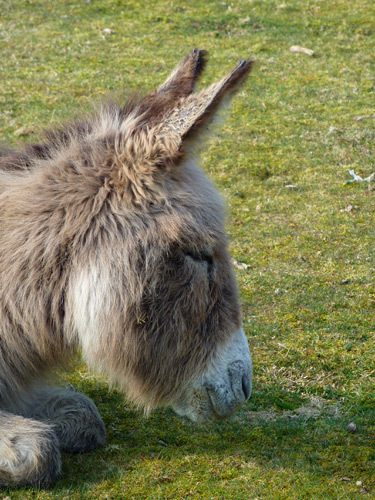 A picture of contentment – or perhaps just ears! 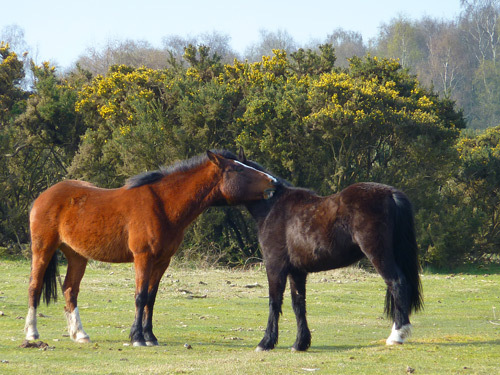 Forest ponies partake of a little mutual grooming. One side…. 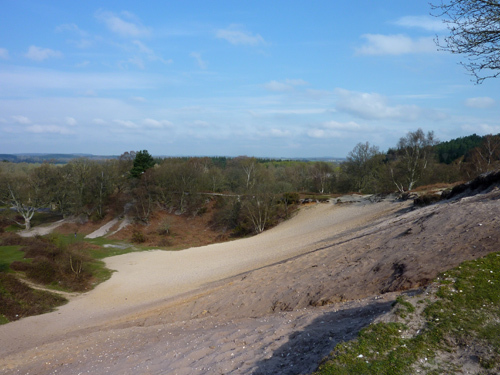 The path across the gravel pit is baked dry by the lack of rain. 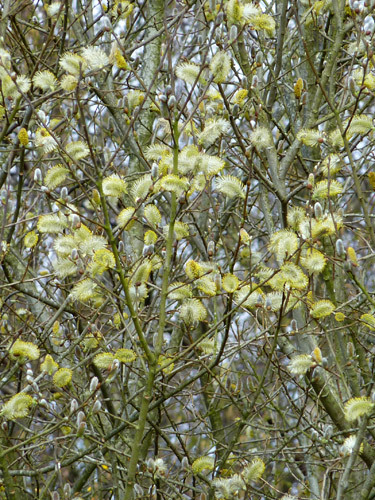 The willow, like everything else this spring, is laden with flower. 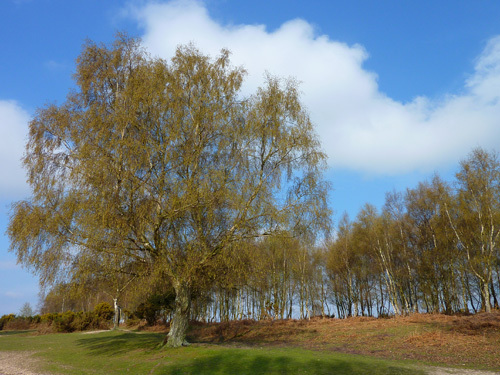 Rob’s tree (so named by me because my good friend Rob was scraped off his horse on it’s lower branches!). 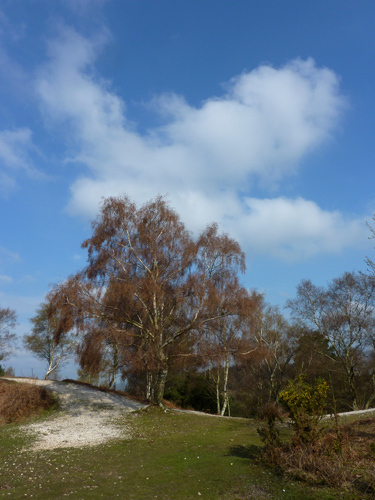 Some birches look very red as they go through the spring, this favourite of mine is a prime example. Looking up into the branches of Rob’s tree, the wind blows them here and there. 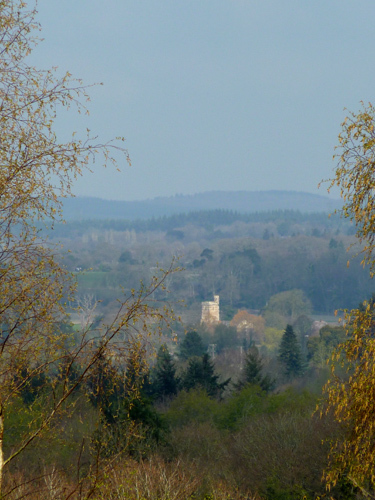 Zooming in on the pretty church at Harbridge on the Avon river with the colours of spring around it. Heading back to the car now, the expanse of the sand pit at Moyles Court, a favourite playground for kids and adults alike. 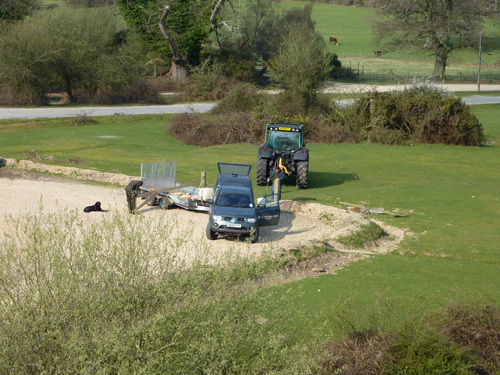 Looking down at the car park, the National Trust workers replacing a gate that allows access to areas of the Forest not usually open to vehicles. 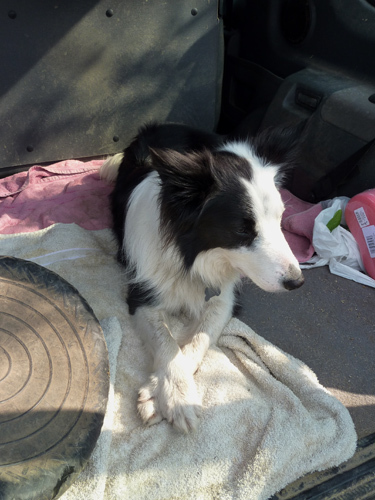 Harry in the back of the car looking cool with his crossed paws. 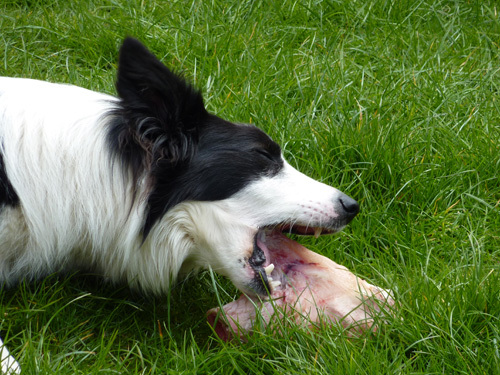 Harry at home with a lovely bone to keep his teeth clean. Happy Harry.